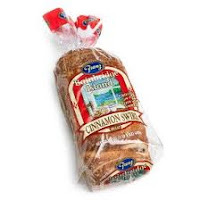 My family enjoys Franz Bakery products from their cinnamon swirl bread( my favorite) to the English muffins - everything is always fresh and yummy. Not only does Franz bake great products but this Christmas they have the spirit of giving and will be giving $500 worth of help to 10 deserving people, families or organizations in need here in the Northwest. There’s no better feeling than helping out a neighbor in need. . . and right now, YOU have the opportunity to help Franz do just that! Tell Franz Bakery about the well-deserving people, families or organizations that have touched your life over the years. Franz will choose ten lucky winners and make their lives a little more special this holiday season. PLUS: If your nominee is selected, you’ll receive a free 1-year supply of Franz Bread! · Submit your entries between November 17 and December 9, 2011. You must have the permission of the person you are nominating, to share their story.